During the press conference that was held in Giza and was attended by many local and international media representatives and foreign ambassadors including the H.E. Ambassador of Canada, H.E. 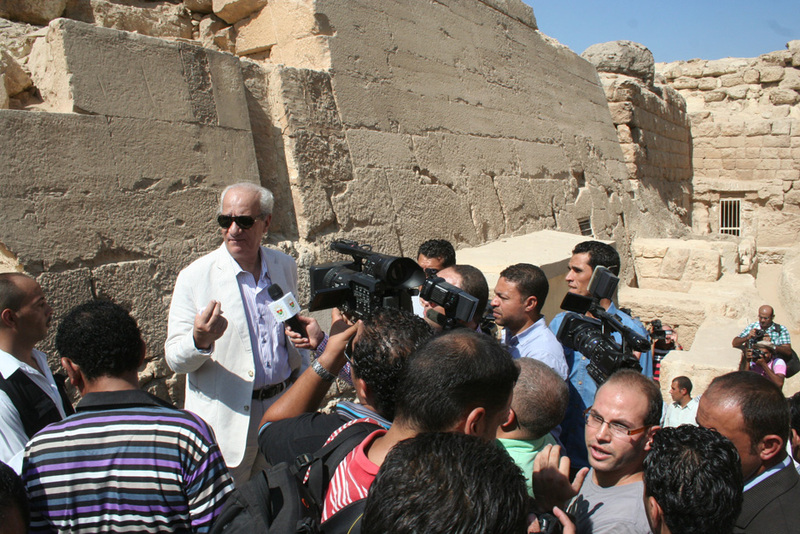 Ambassador of Belgium and a number of archaeological institutes directors in Cairo. 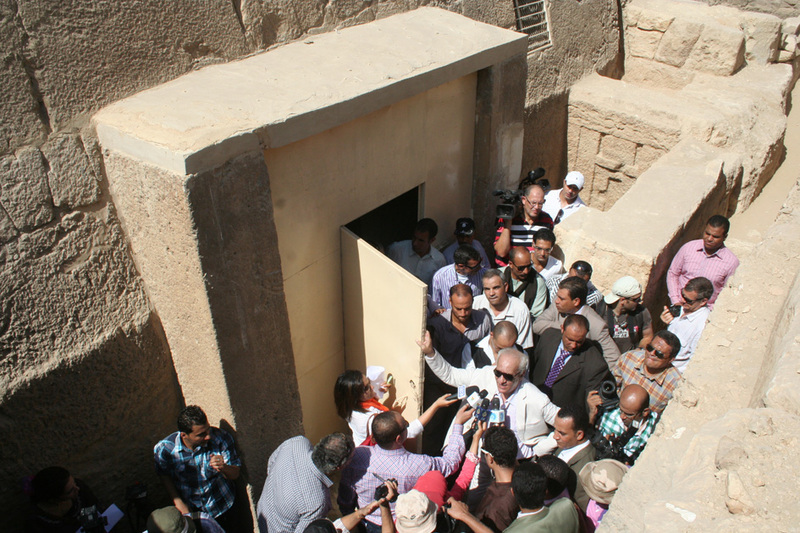 Dr. Mohamed Ibrahim, Minister state of Antiquities, announced on Thursday 11th October, the reopening of Khafre pyramid after 3 years being closed for restoration plus replacement of electricity, ventilation and humidity control systems and installing new wooden floors in the corridors. 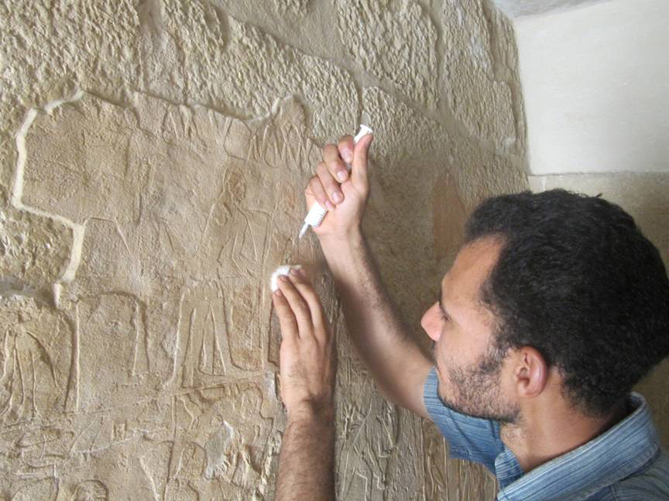 When Dr. Mohamed Ibrahim made the announcement earlier this year (More Details Here) he said in March 2012 that there are 6 tombs located in the Giza plateau to be opened SOON. So it seems that soon has finally arrived yesterday and the 6 tombs were re-opened plus the pyramid of Khafre. 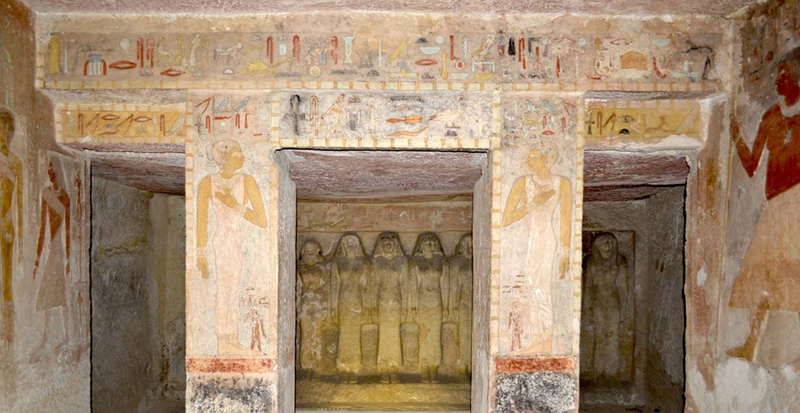 The tomss are located at the western cemetery of 6 nobles and high officials of the Old Kingdom. 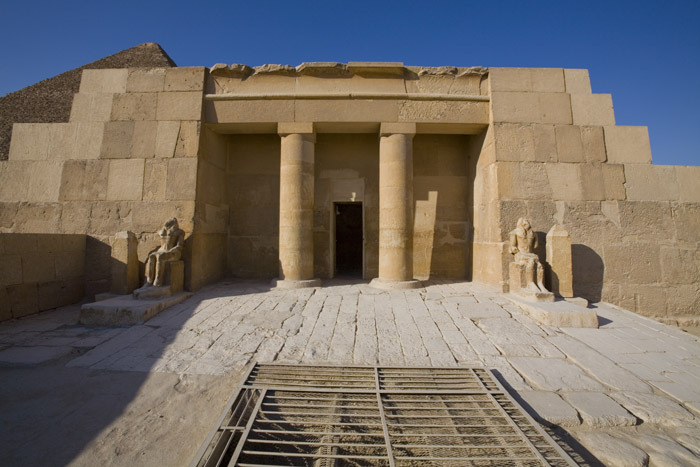 (More information on the tombs Here) and Giza Digitial Library on the mastabas can be downloaded from Here.